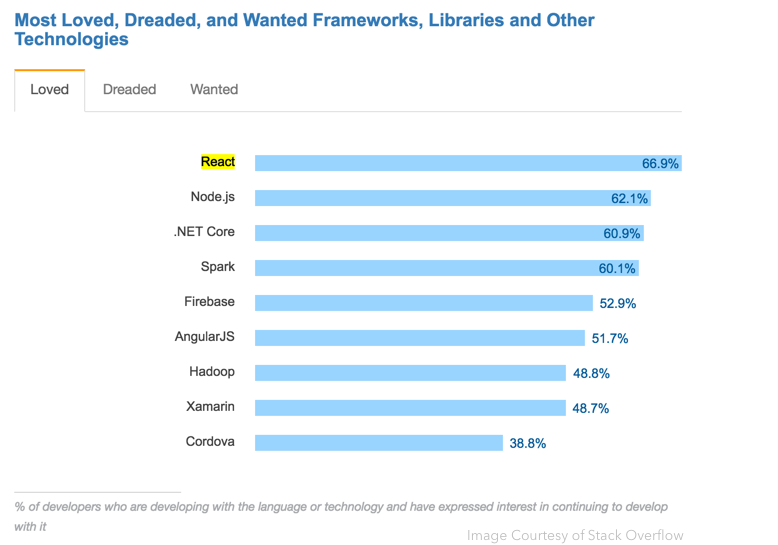 Reports and data published by Stack Overflow confirm the rapidly increasing interest in React developers. Since 2015, React has seen the largest percentage increase in employer demand, growing by over 150%. 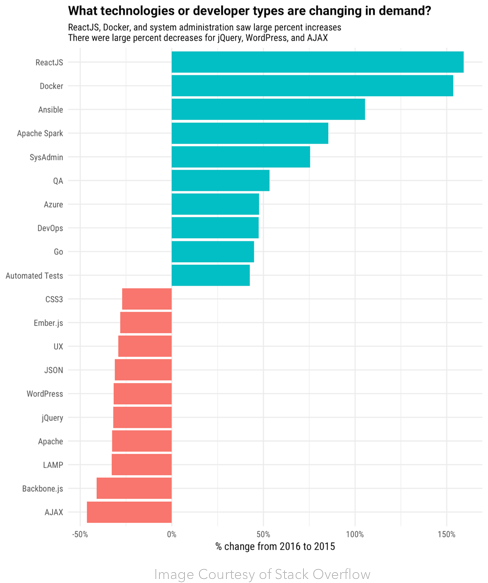 Stack Overflow's research shows that React is one of the most popular technologies today. The average salary of a React developer, $83,435 in the US according to Glassdoor, is another signal for the growing demand of React. This is more than $20,000 the average salary of a general web developer in the US. 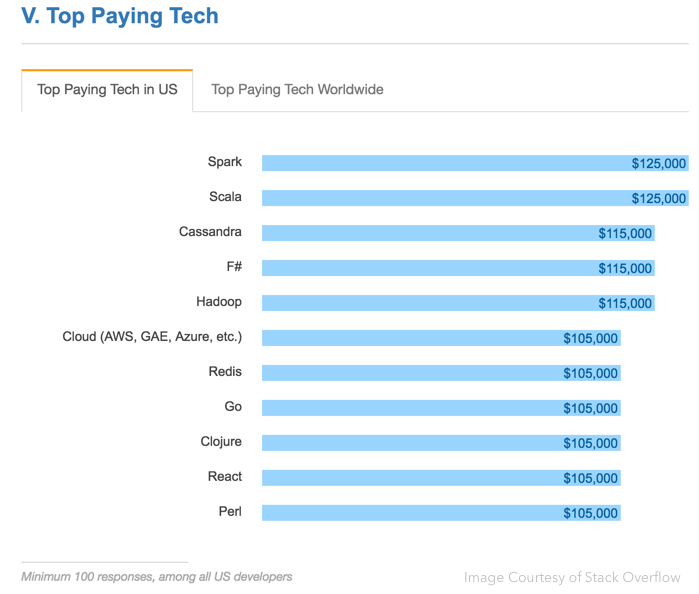 Also, in 2016 a Stack Overflow survey ranked React among top-paying tech jobs in the US. The three main design concepts that drive the popularity of React are reusable components, reactive updates, and the virtual representation of views in memory. React can describe user interfaces using components. A full React component can have a private state to hold data that may change over time. The second design concept, reactive updates, highlights Reacts ability to react to component changes. When a component changes, the user interface changes as well. 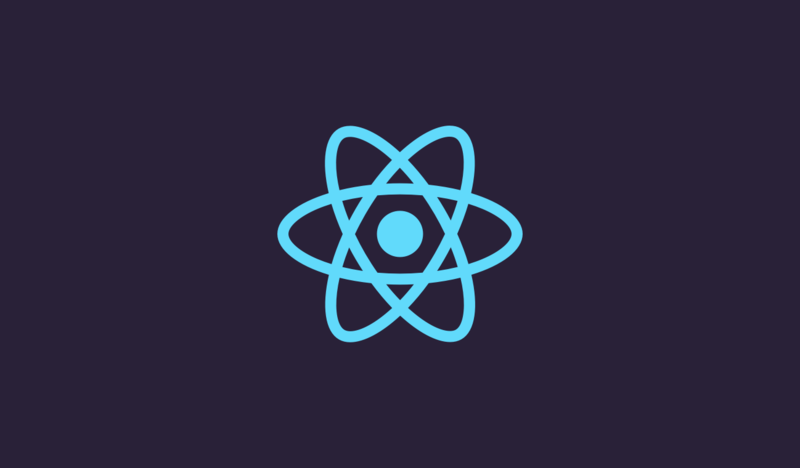 Our React course provides users with a thorough understanding of the language. The curriculum includes an introduction to JSX, ES6, and React components, as well as more advanced topics like Redux, React Router, and common dev tools for JS development. We're incredibly excited to launch our new desktop platform. Competitive products typically teach coding either through video lectures, reading material, or text-based interactive solutions. Hired Assessments combines the best of these teaching products by allowing users to interact with a text editor while following along with video of an expert instructor working in the same editor.